Aishwarya Rai Bachchan turns 37 today. She brought in her birthday at the Taj hotel with a family dinner after an awards function attended by father-in-law Amitabh Bachchan, husband Abhishek, mother-in-law Jaya and sister-in-law Shweta Bachchan Nanda. 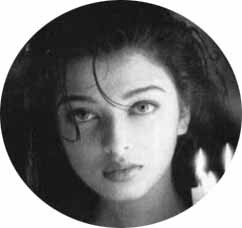 On the eve of her birthday, Amitabh posted on his blog saying “It nears past midnight as we stroll out of the Hotel Taj and the wishes for Aishwarya start. Happy birthday daughter-in-law and may you achieve and get all that you so desire." While Abhishek posted a picture of the two of them on Twitter." 2010 has turned out to be a busy year for Aishwarya with already released films like Raavan and Robot and two more in the pipeline namely Action Replayy and Guzaarish. She will soon be seen with Akshay Kumar in Vipul Shah’s Action Replayy, which releases on 5 November, 2010. Aishwarya plays the role of Maya in the retro film that is based on a Gujarati play. In Sanajay Leela Bhansali’s Guzaarish, Aishwarya will be seen in the lead along with Hrithik Roshan. The film is about a paraplegic and the bond between him and his nurse. Hrithik plays the paraplegic while Aishwarya plays the nurse in the film. Guzaarish releases on 17 November, 2010. We, at Businessofcinema.com, wish the actress a very Happy Birthday and a lot of success and many more films to come! Bollywood queen bee Aishwarya Rai turns 37 today and the Bachchan bahu is spending her big day with her family. Her day started at midnight as wishes started flowing in while she was on her way back home from an awards night with entire family including Amitabh Bachchan, husband Abhishek and mother-in-law Jaya. 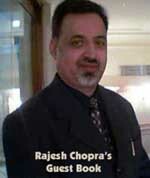 "It nears past midnight as we stroll out of the Hotel Taj and the wishes for Aishwarya start. Happy birthday daughter -in- law and may you achieve and get all that you so desire," wrote the Big B on his blog. "There she is, as promised, the birthday girl..." the actor wrote. The former will hit theatres this Diwali and the latter on 19th November. Apart from films, she was recently seen as a showstopper for designer Manish Malhotra’s show. Aishwarya is likely to create magic with Akshay Kumar and Hrithik Roshan and once again become successful in winning the love and support of her fans and audiences. Good Luck to Ash. Hope she gets all that she deserves.